Evert Louwman is a well-known car collector who doesn’t keep his collection all to himself. The Dutchman is a welcome guest at the Festival of Speed and other historic motoring and motor racing events around the world, not just in person but usually with a varying selection from his wealth of automobiles right in his wake, on rolling and fully functioning display. Here is a man who has no fear of driving his stuff while showing off his pride and joy to the world. That’s not to say that in the meantime the rest of the Louwman collection is locked away for none to see. In July 2010, Louwman moved his own museum to an impressive new facility in The Hague. We finally came round to paying it a well-deserved visit. Top: The museum's imposing facade. The Louwman collection was started by father P.W. Louwman while co-owning a Dodge garage called Louwman & Parqui in The Hague back in the thirties. 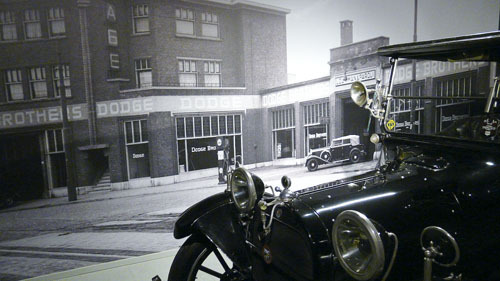 The car that set the ball rolling – a 1914 Dodge Touring Car – is still a proud part of the collection. The Louwman empire quickly grew in proportions when Louwman & Parqui took up the Dutch importership for Toyota to allow Japan to gain a foothold in Europe with its cheap and reliable motor cars. For years, the Louwman collection found a home in a dome-shaped building on the premises of Louwman & Parqui’s business park, now set outside the small Brabant town of Raamsdonksveer, far away from the densely populated West of the Netherlands. 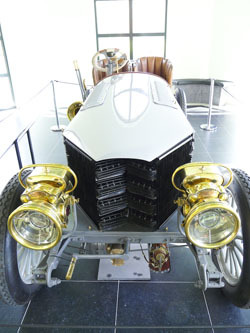 Moreover, the museum was opened in summer time only, so the collection had become a bit out of sight and out of heart in a country with relatively speaking the second-most amount of classic cars in all of Europe, only surpassed by Switzerland. The move to The Hague was only logical. Top: Darracq 8hp two-seater is among the beauties from the dawn of motoring. So what to expect from the brand-new Louwman Museum? The open-all-year museum marks a return home to where it all started for the Louwman dynasty. Its arrival had been eagerly awaited by car enthousiasts, especially when inhabitants of the uptown The Hague area where the museum was to be situated protested vigourously against its arrival, stalling the project for what at the time seemed infinity. Apart from the location – in prominent view from the N44 main road coming from Amsterdam – the building’s architecture by Michael Graves was certainly controversial. Its imposing palace-like façade in neo-something style does nothing in the way of modesty, and on entry the scale of the building is impressive on the inside as well, the opening Great Hall towering some 20 metres above the visitors’ heads. 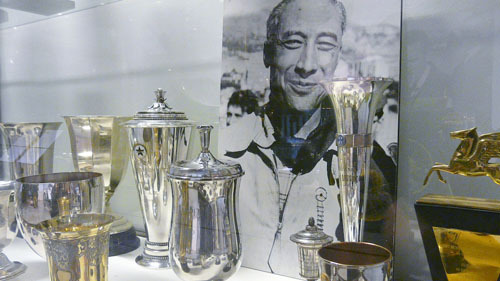 Top: The Maurice Gatsonides trophy cabinet is among the museum's finest – and probably most overlooked – assets. Initially, there was disappointment at the lack of a storyline navigating the visitor through the huge three-story building. Where was the lesson to be learned from our visit? 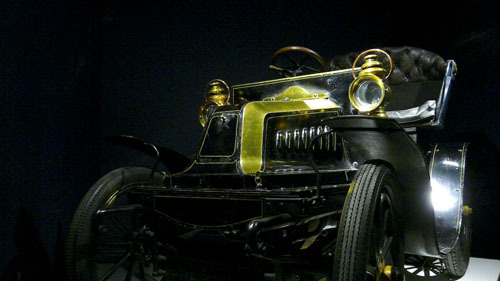 What was this museum telling us about the birth of the motor car and its subsequent development? It was just a bunch of cars! 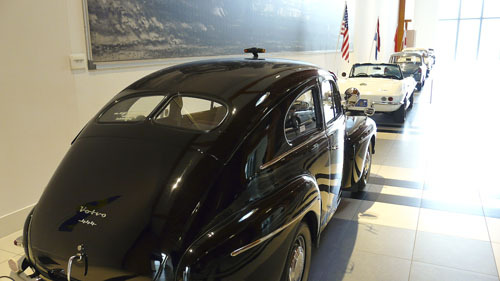 It’s a misconception that probably stems from the nickname of National Automobile Museum that Louwman himself gave the museum while still located at Raamsdonksveer. 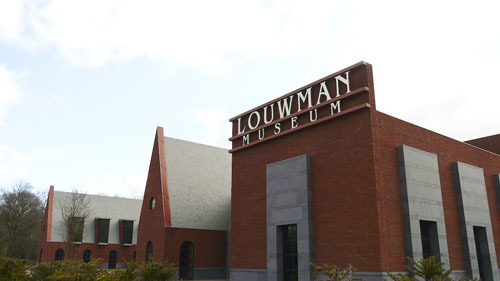 Rightfully, he has now simply named the new place the Louwman Museum. And that’s exactly what it is. No more, but certainly no less. Once we give in to the idea that this is essentially a private collection, with no other museum purpose than to show the cars for what they are, we start to appreciate the effort put into the best way of presenting them. The cars are extremely well laid out, with lots of space around them, allowing us to really appreciate all their design intricacies. And you’ll get your stories if you want. 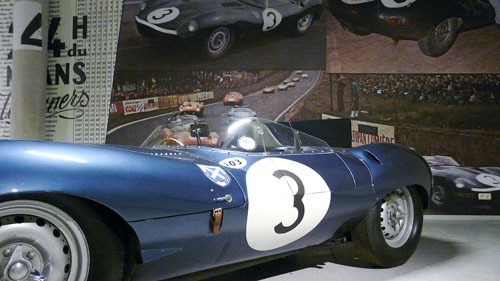 It might seem a bit 20th century that the information is supplied by old-fashioned display signs next to each car, but there is nothing much wrong with them, apart from a few factual errors, such as stating that Roy Lane’s hillclimb victories in the March 2-4-0 (one of the museum’s jaw-dropping motorsport items) were the only wins a sixwheeled car ever took. Well, what about Jody Scheckter’s 1976 Swedish GP victory in the Tyrrell P34 then? 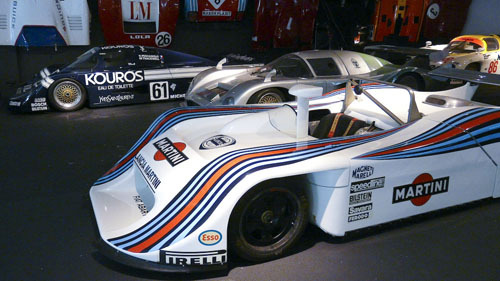 Top: The assembly of Group 6 and Group C sportscars is remarkably diverse, and includes this Lancia LC1, Nimrod-Aston Martin, Sauber-Mercedes C8, and the Mazda 737C in the back. 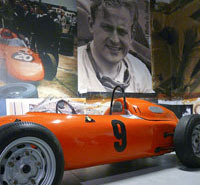 Motorsport fans can further relish the presence of Carel Godin de Beaufort's orange Porsche 718/2, a Toyota TF109 (not hard to see why), two Indy machines, the huge Roadrunner Superbird NASCAR racer and a gaggle of open-top and coupé sportscars from the Can-Am, Group 6, Group C and 3.5-litre eras. 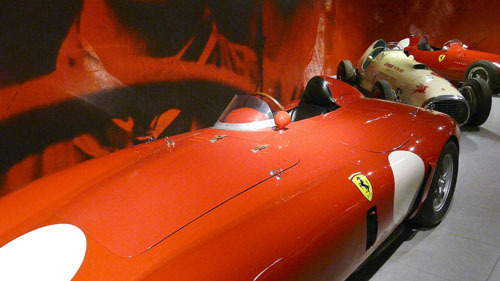 The Italian hall devoted to Maserati, Alfa Romeo and Ferrari shows several racing cars as well, with two Alfa Tipo 33s and the Ferrari 375 Grant Piston Racing Special as the most remarkable representatives. Louwman certainly wasn't going for the most obvious choice all of the time. 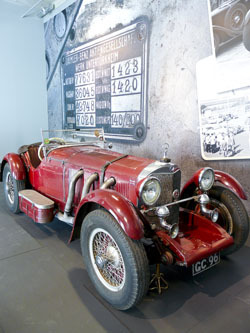 The Gordon Bennett Napier, and two Le Mans winners – the 1935 Lagonda and the 1957 D-type – are probably the most famous front-runners among them all, although it's hard to find a connection between any of the competition stuff on display. Perhaps that's because there isn't but should we really care? It is well possible for any car buff to spend the best part of a day wandering the many exposition halls, even though there are fewer cars shown here compared with for instance the Manoir de l’Automobile at Lohéac in France. However, whereas the Manoir is cramped and almost exploding with vehicles, the Louwman Museum does each and everyone of its cars well and truly justice. So yes, there is purpose to the museum’s palacial proportions – it’s honouring the royal ingenuity and beauty of each of its assets. Its special attraction is the collection’s emphatic accent on the birth and dawn of motoring – in both road and racing environments. Getting a true sense of history is very easy in The Hague. Left: Spyker 4WD car is a prize possession, lovingly and immaculately restored to former Crystal Palace glory.